Are you ready for some serious cuteness? 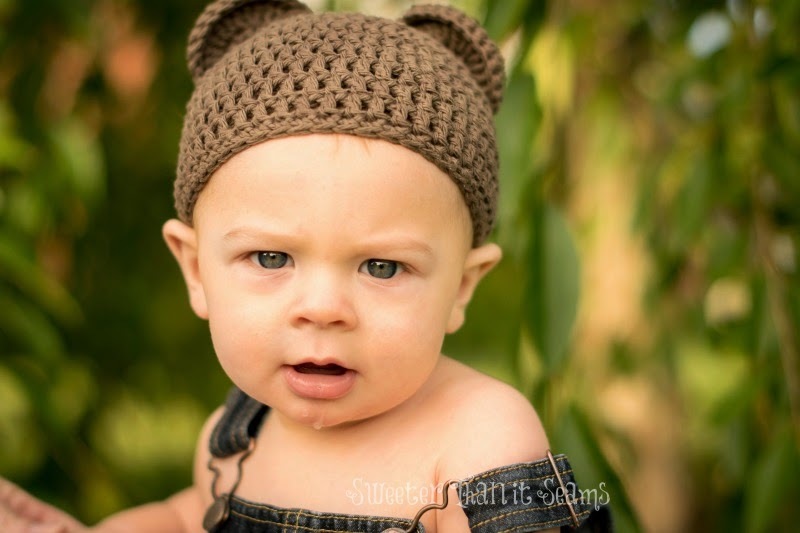 My sweet friend let me borrow her baby to model this cute bear hat. Both the hat and the baby are ridiculously cute! 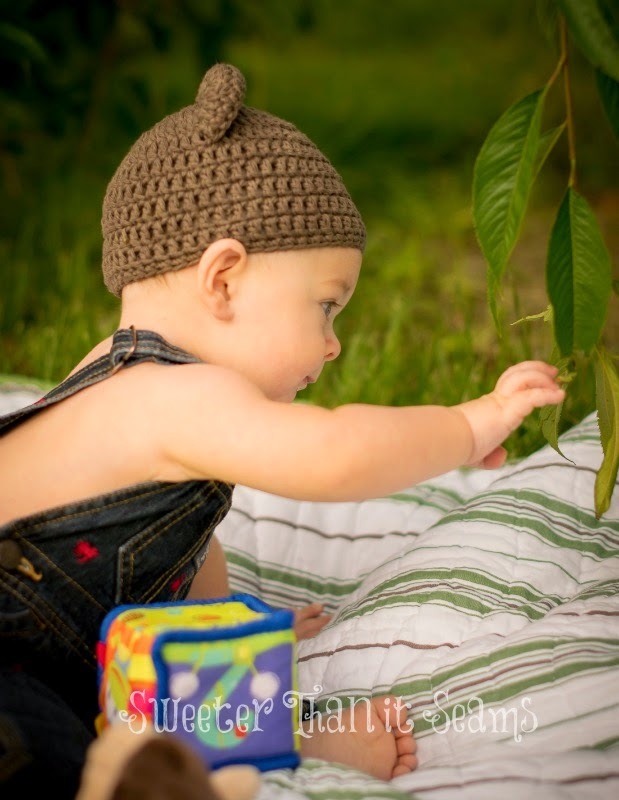 Annastasia has a great new book of baby hats available on Amazon here and online in PDF format through Leisure Arts here. Annastasia has a fun crochet Facebook page here, where she offers support and answers questions. 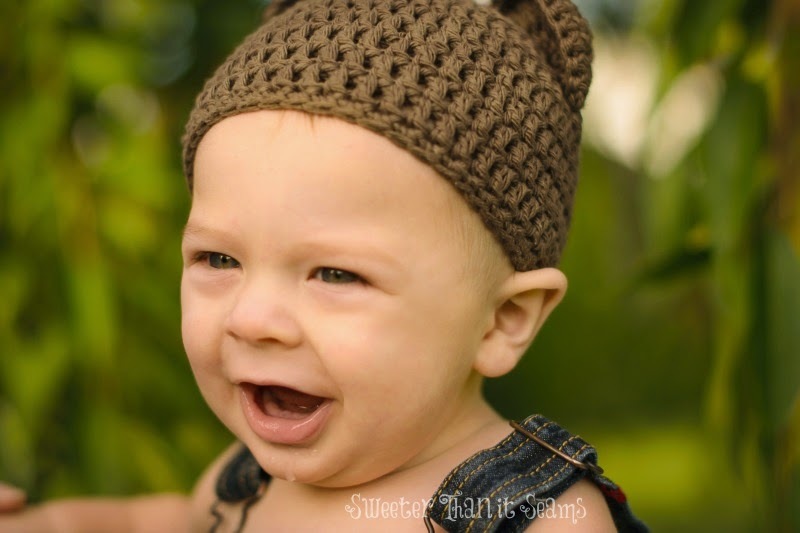 The book offers 10 fun crochet hat patterns. 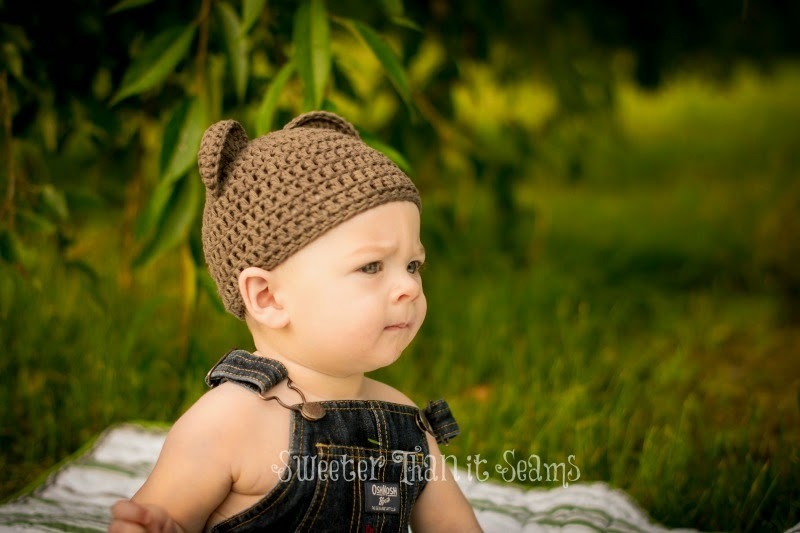 Everything from Brimmed Hats to Bunny and Bear Hats. There are boy and girl patterns in the book and most can be used for either gender. Leisure Arts offers some great video tutorials listed in the book. It's so nice to have a visual when you need a little extra help. The instructions are very clear and easy to follow. 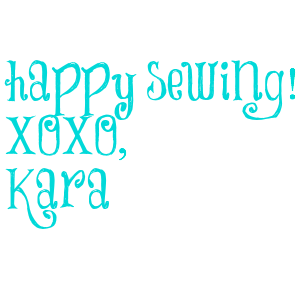 There are plenty of explanations for basic stitches if you need some help getting started. 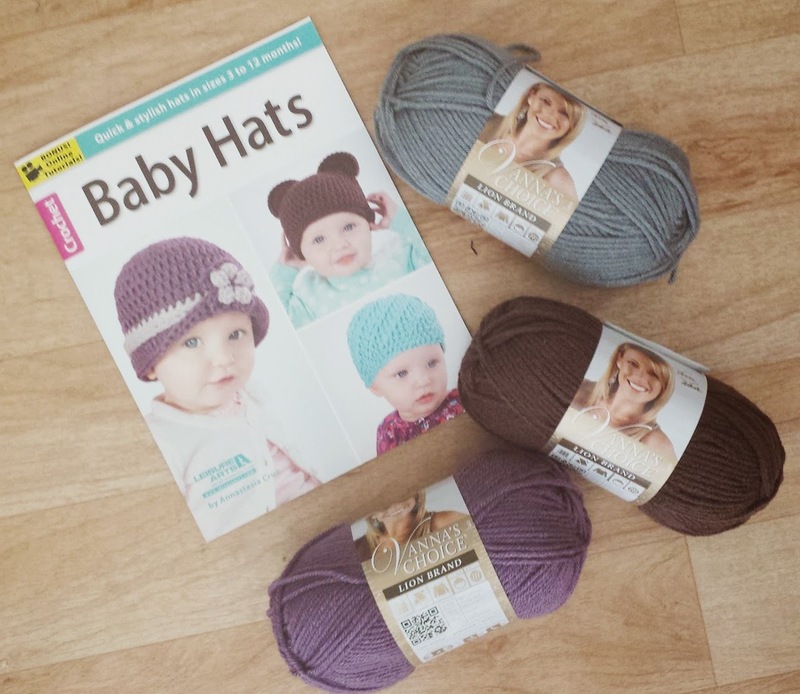 All of the patterns are listed as "easy" so you will be set if you are just starting out or if you are ready to whip out a quick hat. This book looks adorable! I don't know which hat I'd make first! 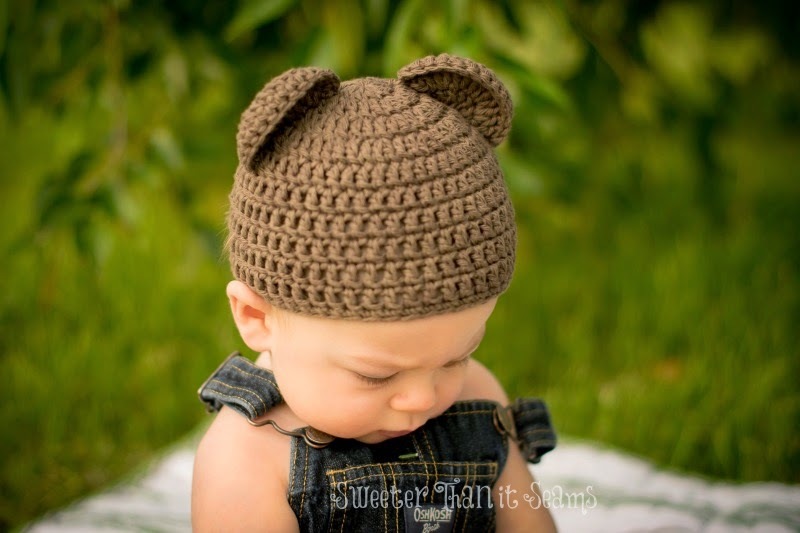 Cute bear hat on a precious model! I love the purple hat on the book cover! 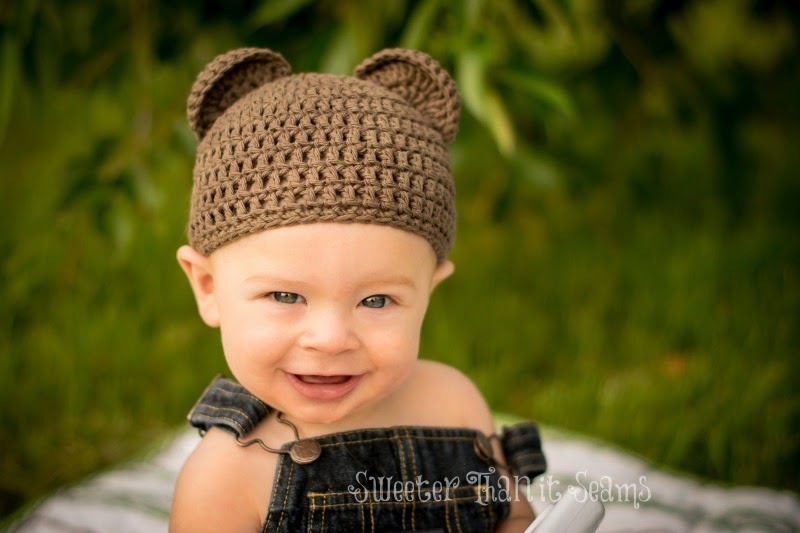 Super cute patterns that I would love to make for my nieces and nephews! Would love to make these adorable patterns! Back to School Super Sale!